Explore a world of clinical knowledge at this year’s Partnerships in Clinical Trials Europe as the experts take to the stage to present the latest data and insights into how clinical trials are being transformed. 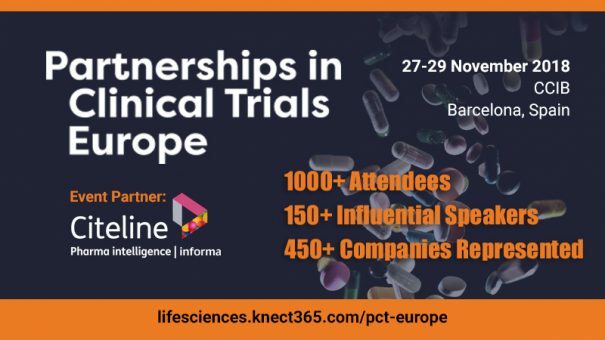 From new patient focussed initiatives and strategic partnership advice through to AI, technology and the Clinical Trials Regulation, PCT Europe has it covered. Join 1000+ stakeholders from across the industry to benefit from focussed discussion amongst the experts, with top tips and take homes to help you achieve a more robust clinical strategy. Book your pass for PCT Europe taking place on 27-29 November in Barcelona to network, benchmark and benefit from the many unique partnering opportunities on offer.